RJM believes that the root cause of most of today's problems in society is the departure of society from heeding the basic truth of the Bible. Without these values to restrain and guide us, every person eventually will be thrown into a course of doing that which is right in his or her own eyes. If there are no absolutes, no faith in God and no fear of His judgement then there is nothing right or wrong except as each of us individually views it to be. This philosophy will always lead to more crime, immorality, corruption in government, and fear. Unfortunately, this is exactly what we see growing in the world today. As a result, governments begin to rule more and more by power and oppressive laws to keep order. (This, we also see increasing steadily in America.) Therefore, if we as a democratic society are to survive, then we (especially our young people) must learn to walk in God's wisdom and latch on to the hope it gives to us. It is a foregone conclusion from many examples of history that when self-indulgence and self-pleasing take over a society, destruction follows. Jesus said we must be born again and by His Word love our neighbor as ourself. Prayer breaks selfishness and love blesses others. These qualities bless a nation and God will prosper its people. 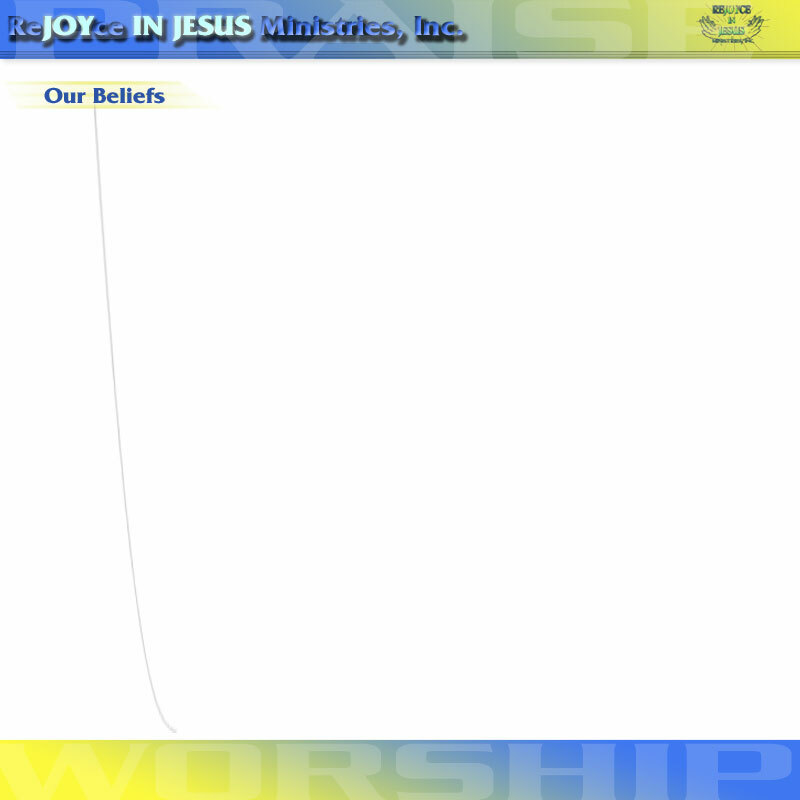 The Lord created ReJOYce IN JESUS Ministries to demonstrate and teach these truths to all who will hear. Its fruit can be evidenced in the multitudes of people whose lives have been affected and changed through its efforts.